Finally, after running around in the "Rally Uniform" for the first two games against UCF and JMU , I decided to retire the uniform for the year and watch football games like regular Virginia Tech fans. 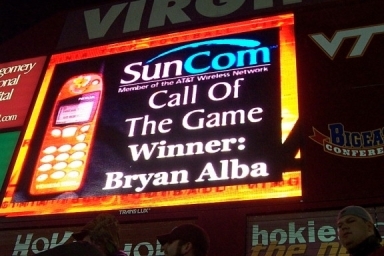 Then, James reminded me to pre-plug in the '*VT' number into my Cell Phone so that I could once again participate in the SunCom call of the game trivia question. 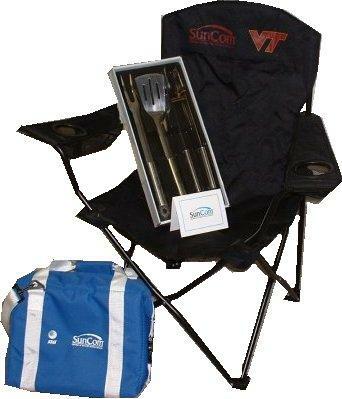 (Then I celebrated with CCVT and gave the man my phone number to get my prize package).